We live in a land-locked state, and my personal photo challenge requirement is that the photos be taken here on the farm. Sea should be a challenge, but our pond flooded 4 times this month, rising above fences and banks. 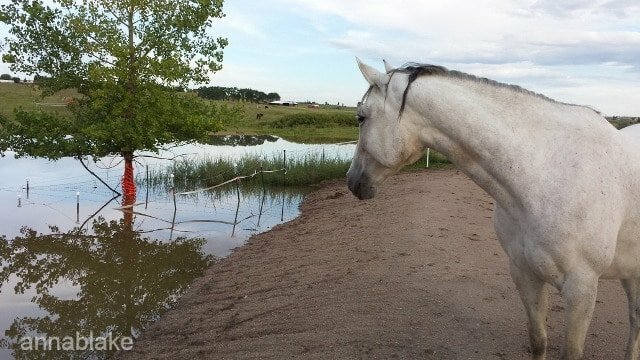 By prairie standards, doesn’t that make our pond a sea? Doesn’t that make Clara a SeaHorse? ← Farm Animals in the Zoo?